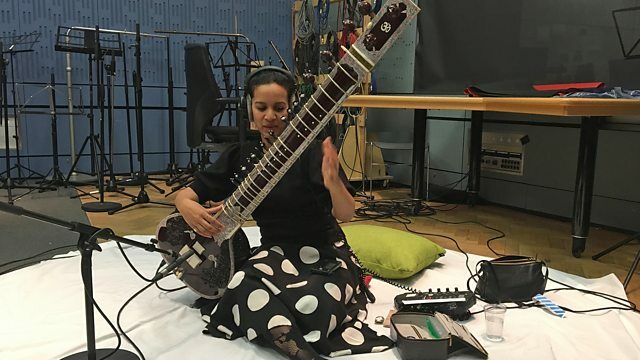 Katie Derham presents a lively mix of music, conversation and arts news with live music from Anoushka Shankar, Joyce El-Khoury, and the pianist Florian Mitrea. Singer: Joyce El-Khoury. Orchestra: Staatskapelle Weimar. Conductor: Kirill Karabits. Khachaturian: Masquerade Suite, The Comedians: Kondrashin. Performer: Matthew Trusler. Performer: Wayne Marshall. Blues: Matthew Trusler, Wayne Marshall. Ensemble: Ravichandra Kulur. Ensemble: Pirashanna Thevarajah. Performer: Anoushka Shankar. Ensemble: Ravichandra Kulur. Performer: Wynton Marsalis. Music Arranger: Donald Hunsberger. Ensemble: Eastman Wind Ensemble. Director: Donald Hunsberger. Bach: The 'Great' Fantasias, Preludes, and Fugues.